A Utah truck driver has been officially charged for causing the death of a Long Beach in a tragic incident that occurred on Oct. 27, 2015. The man had been riding his bike under a railroad bridge when a flat bed truck carrying a shipping container, struck the top of the bridge, fell off the trailer and fatally crushed him. 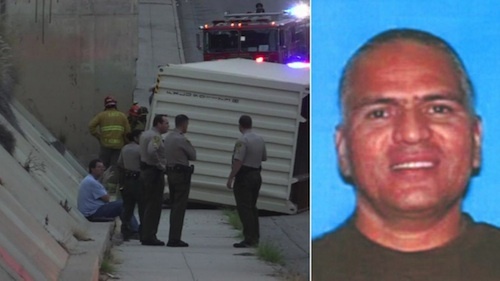 On Tuesday, 50-year-old Utah truck driver (Wesley Phil Blake) was arraigned in Los Angeles Superior Court on one felony count of vehicular manslaughter for the death of 51-year-old Robert Castorena. Blake pleaded not guilty and posted a $50,000 bond. According to prosecutors, Castorena was riding his bicycle on Oct. 27, 2015, on Santa Fe Avenue along the Carson-Long Beach city border and was passing under a railroad bridge when the fatal accident occurred. Blake was driving a truck belonging to Western Pride Inc. of Cedar City, Utah and attached to the truck was a flatbed trailer carrying a shipping container. 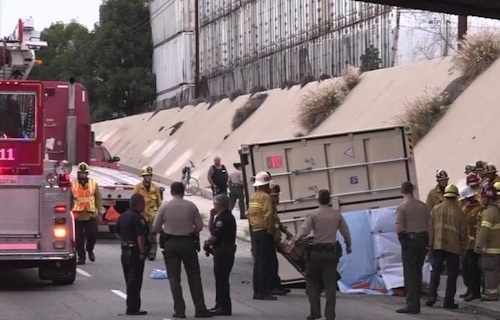 Castorena was riding on the sidewalk to the right of the truck when the shipping container clipped the railroad bridge and the force of the collision caused the fastening straps to break. The container came loose and fell off the right side of the trailer, landing on top of Castorena. He was literally crushed to death and pronounced dead at the scene. Sheriff Deputy Geoff Lidman said authorities at the scene inspected the bridge and found scrapes underneath. He also said that when investigators questioned Blake, he told them he “thought the container was shorter than it was." Sheriff's Sgt. 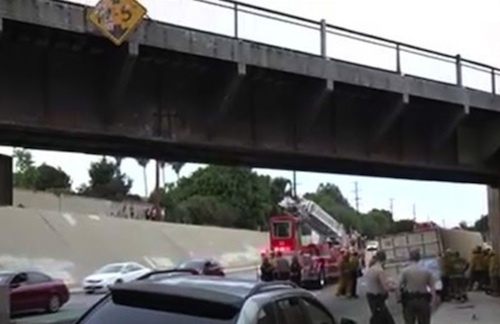 Craig Calzada said the bridge was clearly marked as having a 14-foot, 5-inch clearance and after investigators examined the height of the empty container they determined the truck’s load was taller. Shortly after the incident occurred, Teamster officials also weighed in saying the driver was operating a flatbed truck using straps to secure a load, as opposed to a chassis that securely locks cargo down. "A properly maintained chassis that is properly attached is going to be the safest way to move one of these very heavy containers," said spokeswoman Barbara Maynard. Either way, it was an unfortunate accident that occurred while a truck driver was simply trying to do his job and a bicyclist was in the wrong place at the wrong time. The truck driver had almost reached his scheduled destination where he was planning to stop for the night and he made an error in judgment that cost a man his life. He also faces up to six years in prison if convicted of the charge. He is due back in court on August 9.